A scion is a descendant or heir, generally of a rich person. And while there’s nothing in the dictionary definition about being male, culturally speaking, the word scion is almost always used to describe the son of a powerful man. I have used scion in class as an example of denotation vs. connotation (the dictionary definition of a word versus the “feeling” or cultural baggage of the word), and was thinking: I’ve never heard anyone describe a woman as a scion, but there’s no reason you couldn’t. For instance, Ivanka Trump, daughter of Donald Trump. While Paris Hilton is an “heiress” (no one thinks she’s going to end up running the Hilton hotel brand someday), Ivanka is a mogul in her own right. A mogul is “an important or powerful person” or “a rich or powerful person.” The word derives from Moghul or Mughal, a member of the Muslim dynasty founded by Baber (or a soldier supporting that dynasty) that ruled India until 1857. A variety of celebrity-type articles have referred to Ivanka’s newborn baby as a “mini-mogul.” Interestingly, when I Googled to find an example, all the articles that used the phrase “mini-mogul” were from before Ivanka actually gave birth. No one has yet used the phrase to refer to the baby after it was born. Maybe because it’s a girl? Interesting. Hoosegow isn’t a new word. It’s a slang term for jail. 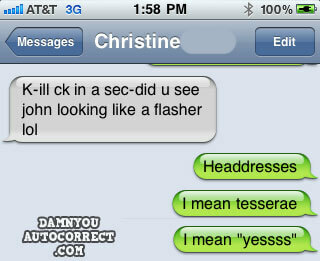 The really hoosegow thing here is that the AutoCorrect is apparently being trained by 19th-century cowboys. You’d be surprised. Everytime I try to type in my friend Greg’s name it wants to auto-complete to Gregarious. 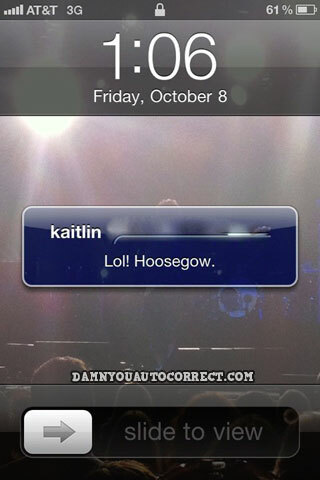 My last name is Hasegawawhich autocorrects to Hoosegow. 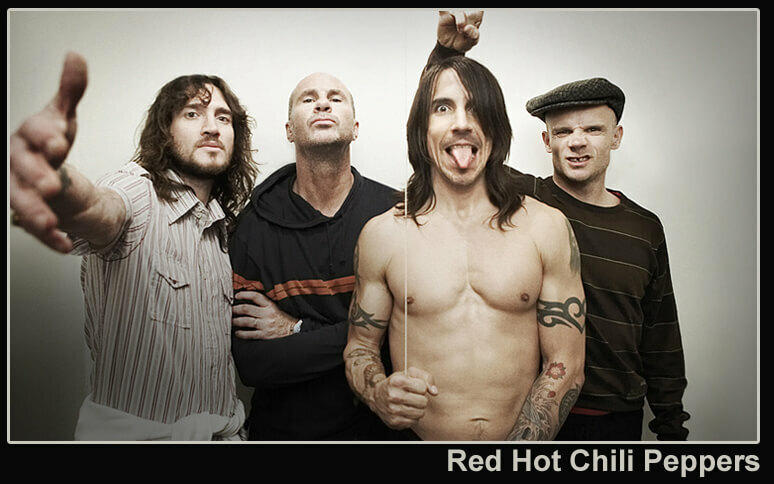 Supposedly, the working title of the Chili Peppers’ new album is “Dr Johnny Skinz’s Disproportionately Rambunctious Polar Express Machine-head.” Take that, GRE! As a noun, a buttress is a structure, usually brick or stone, built against a wall for support or reinforcement; something resembling a buttress, such as the flared base of certain tree trunks, a horny growth on the heel of a horse’s hoof, or a projection from a mountainside; or just anything that serves to support, prop, or reinforce. So, let’s get this straight — a buttress is a support for a building and a bolster is more of a support for your back when you sit down. But you can use both words to mean “to support.” An army can buttress its defenses, and someone can bolster your spirits with a care package. 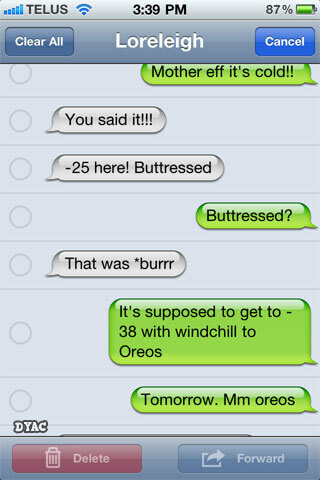 Here is a previous post on the Vocabulary Blog about buttress. 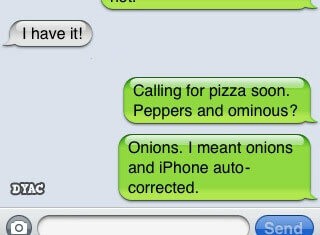 iPhone Vocabulary Fail: Objects of Antiquity Edition! Tesserae is also the term for dice used in ancient Rome (makes sense — they’re cubes!) or for the layers of calcification on sharks’ otherwise cartilaginous jaws and backbones (um, interesting). A garderobe is a chamber for storing clothes, a wardrobe; or the clothes stored in such a chamber; or simply any private chamber. 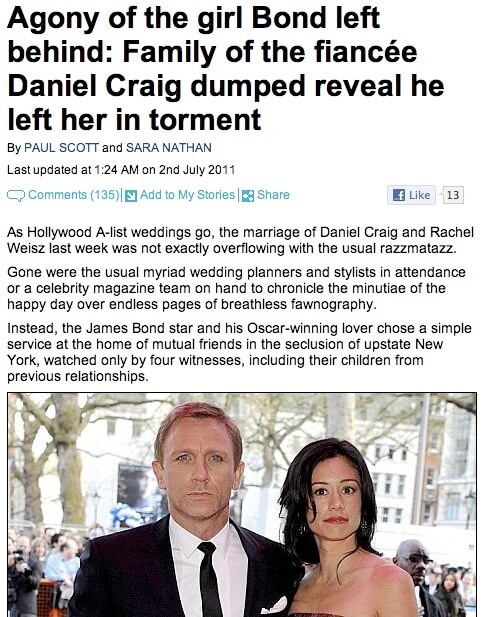 This article about the very important wedding of Daniel Craig and Rachel Weisz — and the partners they left behind, including esrtwhile inamorata Satsuki Mitchell — contained some interesting vocabulary words. (For more words for “a lot,” see the post A Plethora of Words for a Plethora). Other words for a small amount include iota and modicum. 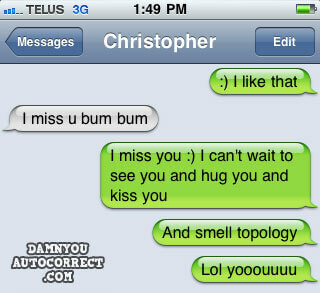 Finally, fawnography isn’t exactly a word in the sense that it isn’t in dictionaries, but a person with a robust vocabulary should certainly understand that fawning is exhibiting affection or attempting to please (especially in a dog-like way), or seeking favor or attention by flattery and obsequious behavior. So, a fawnography is like a “sucking-up” biography. Manhattan Prep’s blog is written by one of our real-live GRE instructors. She teaches in New York. To learn about Manhattan Prep’s classes, go here. To suggest a word or topic for the blog, email jen@manhattanprep.com. Stentorian means “very loud or powerful in sound,” but the word’s origin is much more interesting than that. In Greek mythology, Stentor was a herald for the Greek side in the Trojan War. Homer said his “voice was as powerful as fifty voices of other men”! Similar to a brawl is a fracas, fray, mÃªlÃ©e, scuffle, altercation, or — if you are feeling very old-fashioned — fisticuffs or donnybrook. If you’ve ever heard this word before, it might be in the context of a topographical map, which shows surface features such as mountain ranges, glaciers, and valleys. Biology: The repetition by a single organism of various stages in the evolution of its species during embryonic development. This all makes sense if you know that palin is a Greek root meaning “again,” and genesis, of course, means birth or creation. 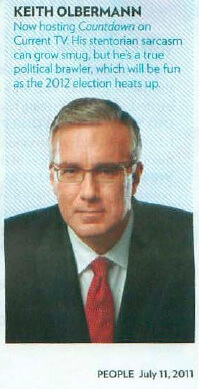 The root palin (not sure if there’s a connection to the former governor of Alaska) also occurs in palindrome, a word that can be read the same way forwards or backwards (Mom! Dad! Wow!) and palimpsest, parchment from which earlier writing has been removed to clear it for new writing. 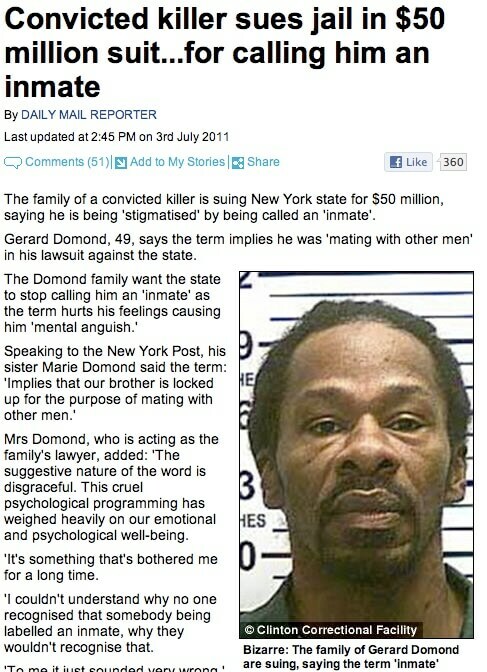 Hmmn, I wonder why other people don’t immediately associate “inmate” with “mating”? Perhaps because of…. So, being called an “inmate” certainly does imply that you eat food with the other prisoners. Oh no! How degrading. Heck, we’re surprised this guy’s sister isn’t complaining about the penal code. 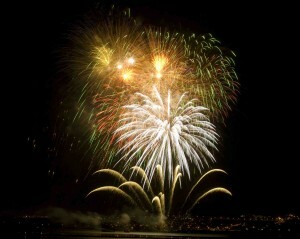 Belated July 4th Post: Fireworks are “Hegemonic”? The professional fireworks display is an exercise in pomposity, aggression, triumphalism, and hubris. The pyrotechnician”and, more importantly, his patron”intends to ornament the night sky beyond the powers of God himself. He means to inspire awe for little purpose other than to demonstrate his power. The first great fireworks nuts in the Western world were Peter the Great (who put on a five-hour show to celebrate the birth of his first son) and Louis XIV (who, with a specially equipped sundial, used them to tell time at Versailles). Fireworks are imperialist and, as we used to say in school, hegemonic. That they are popularly believed to be populist entertainment does not say much for the populace. In other words, fireworks are an American way of showing off our aggressive military might, and defying nature by impressing people! Hmmn, I’m not sure that ornamenting things for no greater purpose than to inspire awe is all that iniquitous — don’t we regularly make buildings, and monuments, and works of art, and nightclub-appropriate garments for just that purpose? I need to get my hearing aids checked! What I heard as the ominous sound of thunder was really the auspicious sound of the ice cream truck rumbling down the street!